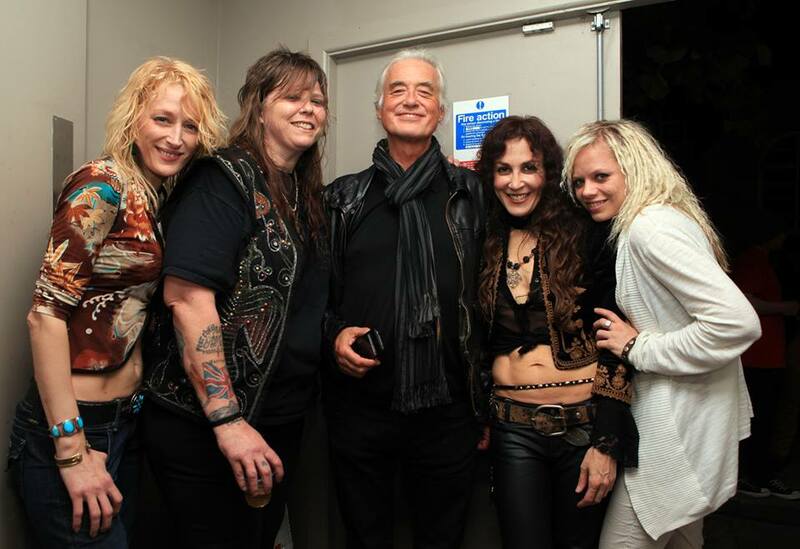 Lez Zeppelin with their muse, Jimmy Page. As a way to mark legendary Led Zeppelin guitarist Jimmy Page’s 70th birthday today, and offer testimony (as if that’s even needed) to Zep’s towering impact and enduring influence on generations of bands, guitarists, singers, and state-of-the-art rock theater, here’s a piece I wrote for The Boston Globe back in August 2007 on one of the best — and easily the most intriguing — Zeppelin tribute bands I’ve ever seen and heard (yes, I’ve seen a few and have appreciated them for what they are — highly skilled musicians and fans trying to conjure, for other fans, some of the magic of a band that many of us never got to see live and up close, given their sudden split in the wake of drummer John “Bonzo’ Bonham’s death in 1980). 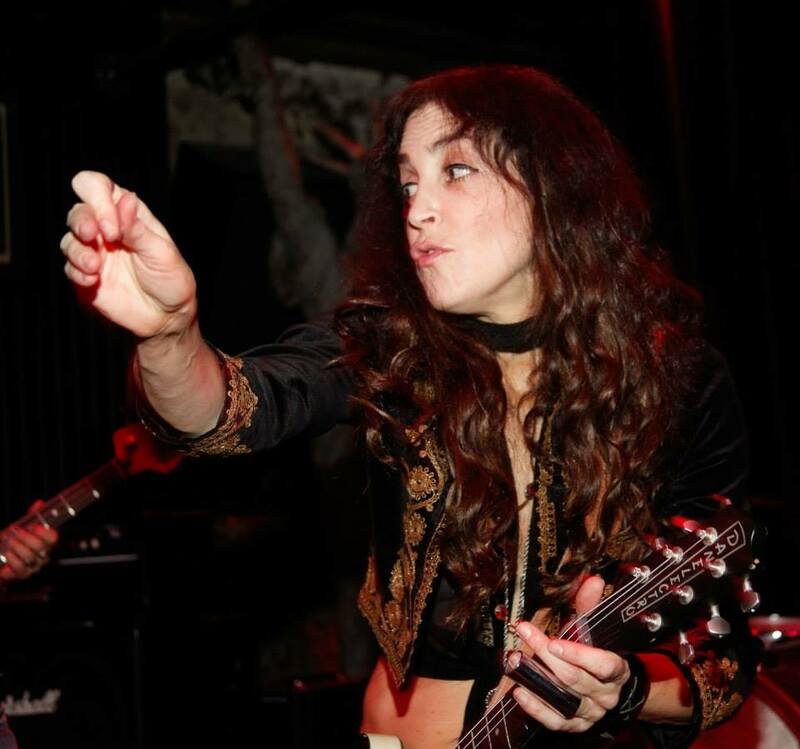 In lesser hands and in lesser bands, an all-female Zep tribute band named Lez Zeppelin — no, that’s not a typo — would likely be dismissed as a gimmick or novelty. Wha? Chicks playing Zep, the ultimate dude’s band? 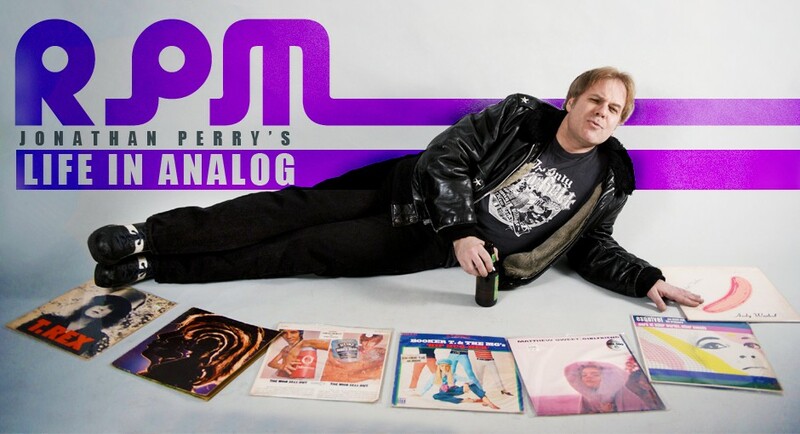 Sure, they might be hot, but no way can they pull off the music of Pagey, Percy, Jonesy, and Bonzo. 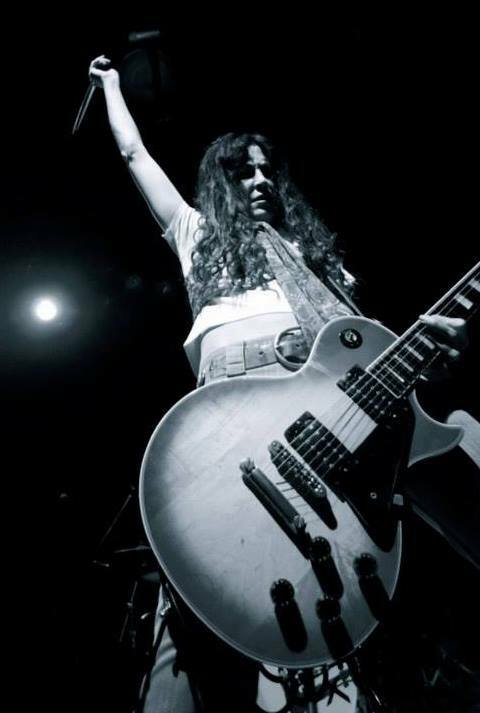 Launched by guitar wizard/Page-channeler Steph Paynes roughly ten years ago, Lez Zeppelin takes their Led lethally seriously. They’ve quickly not only silenced sexist skeptics and naysayers, but have left the collective jaws of said skeptics dropped like a ton of lead (sorry, had to) on the floor of beer-stained clubs and arenas around the country. Despite a few lineup changes along the way, Paynes’s outfit has toured internationally, played sold-out concerts and headlined major rock festivals, tapped Zep’s original engineer to record them, and even performed in front of their idols. Simply, they have to be seen (and heard) to be believed. As you’ll read in my piece below, a thoughtful and perceptive Paynes manages to capture, with the same eloquence and passion with which she plays guitar, just what made (and continues to make) Led Zeppelin so unique, so special, so singular a musical force. There’s only one thing missing from those tight Plant pants! She speaks for many of us who grew up obsessively listening to the records, watching midnight movie showings of Zep’s overlong (but we’ll take what we can get!) 1976 concert film (filmed in 1973 at Madison Square Garden), “The Song Remains The Same,” and catching Page and/or Plant on tour together or alone. I’ve seen Jimmy Page solo at the old Worcester Centrum in 1988; Page & Plant in Philadelphia 1994; Page fronting the Black Crowes in Mansfield, Massachusettss in 1999; and of course, I devoured “Celebration Day,” the recent concert film of their justifiably ballyhooed reunion. Nope, couldn’t make it out to London 02 for the concert, or come even remotely close to affording it even if I could; (I’m not Dave Grohl after all). In between, there have been precious historical documents and artifacts — proof! — of this majestic beast’s existence, such as scores of bootleg live LPs and CDs, the briefly reunited band’s televised performance at the Atlantic Records 40th anniversary concert in 1988; and before that, the “Live Aid” benefit concerts in 1985. Making my editor very unhappy, I begged off a local newspaper assignment to cover our town’s baseball team in a Little League tournament just to make sure I didn’t miss watching, hearing, and taping the Zep reunion –albeit one that featured Phil Collins (at his ubiquitous, insufferable zenith, much like Grohl today) behind the drum kit and filling in for Bonzo. Alas, it was under-rehearsed, and underwhelming. Wonder where Steph Paynes learned that rock god pose? No matter. Listening to the music of Led Zeppelin as a band, and Jimmy Page as a one-man wrecking crew on guitar, is never underwhelming, and always rewarding. Steph Paynes, who so expertly plays those legendary licks, explains why. Few rock bands have inspired as many generations of air guitarists, as many black magic-dabbling hippies and heavy metal heads, as many tall tales involving groupies and trashed hotel rooms, as Led Zeppelin. But beyond the dragon suits, beyond the stairways to heaven and pockets full of gold (Acapulco gold! ), beyond the hair, always, was the music. The legend would be nothing without it, and Led Zeppelin the rock archetypes would be nothing without Led Zeppelin the band. Just consider for a moment other dinosaurs of the day (Iron Butterfly, Vanilla Fudge etc.) who trudged loudly and inevitably into extinction. It is for these reasons that Lez Zeppelin guitarist Steph Paynes wants to make one thing perfectly clear: Her New York-based quartet is not trying to be the legendary hard-rock outfit after which it is named (the exception being the slight but intriguing tweak of one letter – more about that later). Furthermore, she says, the band is certainly not trying to fool anyone into thinking that it is as great, or as ground-breaking, as the original. 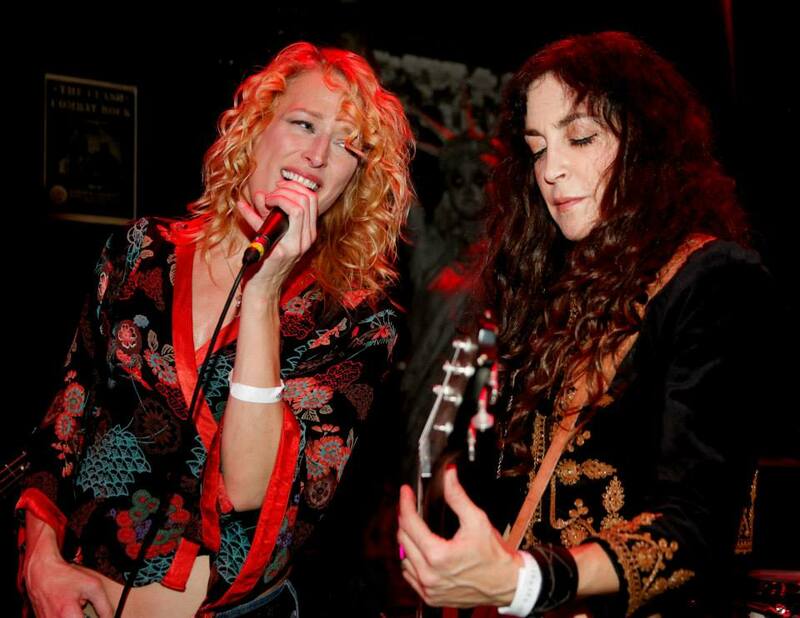 Lez Zeppelin is a tribute band devoted to performing the music of its idols, yes. But it’s a tribute band with a healthy sense of perspective. In fact, part of what has made Lez Zeppelin – which also includes Sarah McLellan (vocals), Lisa Brigantino (bass, keyboards), and the perfectly named Helen Destroy (drums) – so successful since Paynes launched the project in 2004 with a different lead singer and drummer, is that the group hears the music of its predecessors as no less sophisticated, nuanced, and dynamic. Lez Zeppelin’s determination to move past cover-band caricature has paid off. The tribute band has drawn praise from publications such as *Spin* magazine (which mused that Lez Zeppelin might be “the most powerful all-female band in rock history”) to CNN.com (which called them “electrifying”) – not the kind of praise usually accorded tribute bands. The group has also toured Europe twice and was invited to perform at England’s annual “Download Festival” in June. Cover bands also tend not to release albums, or get legendary producer Eddie Kramer, Led Zeppelin’s and Jimi Hendrix’s original engineer, on board to supervise. Yet that’s exactly what Lez Zeppelin did. Its self-titled debut, which came out last month, consists of six Led Zep covers and two strong original instrumentals, all of it recorded, mixed, and produced by Kramer. For Paynes, it was both a dream come true and, during a brief moment of panic, a nightmare. “It was absolutely daunting, yes,” she says, laughing at the understatement. “I remember one morning, I was almost weeping because I thought, ‘What guitar player in the world goes into a studio with Eddie Kramer and tries to play Jimmy Page’s solos?’ I’m completely out of my mind!” And yet, not. The disc offers a faithful but remarkably fresh perspective on some of rock’s most hallowed anthems, including “Whole Lotta Love” and “Rock and Roll.” Meanwhile, the pair of originals – “On The Rocks” and “Winter Sun” – demonstrates that not only can the women play like Zeppelin, but they can write like them too. Then there’s the name. Fans and interviewers alike continually question whether or not Lez Zeppelin is a lesbian band. While its members have always been cagey about the answer, what is clear is that gender and sexual identities play a significant, if sometimes subconscious, role in the appeal of both Zeppelins. Paynes believes the attraction male fans might feel watching the female version on stage may, in fact, be similar to what they felt growing up with posters of Robert Plant and Jimmy Page plastered in their bedrooms.